I was recently (virtually) introduced to Simon de la Rouviere after reading his recent article, “In the Future, Everyone Will Have Their Own Cryptocurrency.” Simon makes a bold prediction: personal cryptocurrencies will be the norm in the next 10 to 20 years. Having your own coin isn’t so different from my current practice of selling “shares” of myself. The difference is in the technology, which should be pretty invisible to the average user. What the user cares about is the value of the person, and in order to determine that, a person needs a clear plan or thesis for how they will live. Imagine I sold shares of myself but never allowed shareholders to vote on how I live my life. Without my thesis about the wisdom of crowd-based investing, it’s just an ask for money: people give me money and I get to do whatever I want. That’s not very interesting or valuable to any potential investors. By adding a thesis about collective decision-making and backing that belief up with technology, the experiment in selling my shares gains meaning. Simon points out that personal coins will develop gradually: “We will start seeing (mostly tech) people slowly but surely minting their own coins…until a platform exists for anyone to easily create one, and allowing easier and quicker exchange between them.” I don’t completely disagree, but think this is nonetheless a grand understatement. Practically speaking, obtaining cryptocurrencies, let alone creating them, is nearly impossible for most of us. April 16, 2019 - How the hell are cryptocurrency holders supposed to file their taxes? MIT Technology ReviewThough it wasn't in time for tax day, US lawmakers are pressuring the IRS to clarify its policies for digital currencies. 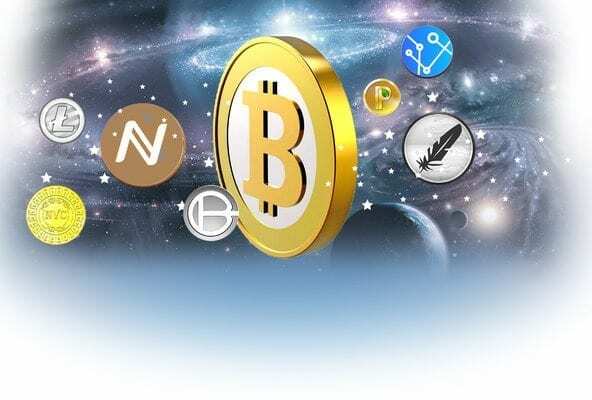 April 16, 2019 - Cryptocurrency Exchange OKEx Decides Not to Delist Bitcoin Satoshi Vision CointelegraphNews. Major cryptocurrency exchange OKEx announced that it decided not to delist bitcoin satoshi vision (BSV) in a series of tweets published on April 16.